Last week we conducted a survey of Mines #3 and #2, both of which are hibernacula for native bats, like the tricolored and big brown. 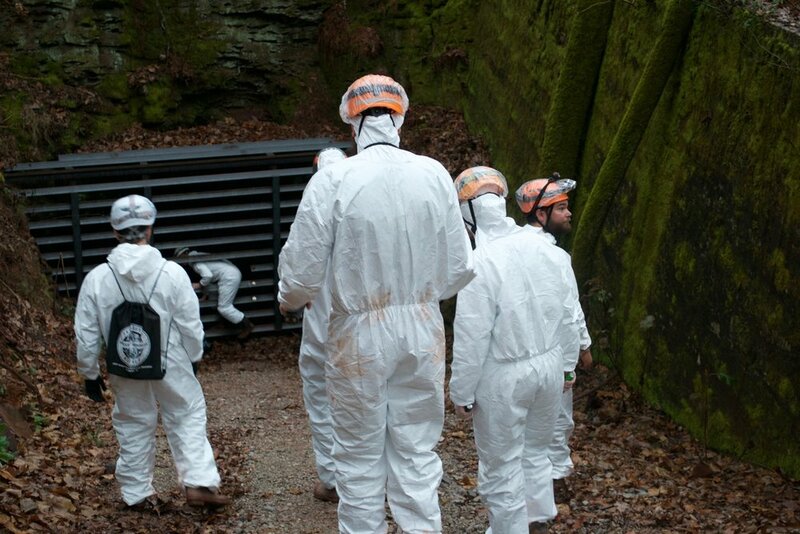 Here is the Ruffner Conservation team, joined by local explorer Bradley Jones and Nick Sharp of the Alabama Wildlife and Freshwater Fisheries, entering one of the mines. We tried to make them look as cool as possible, but really we didn't have to try very hard. 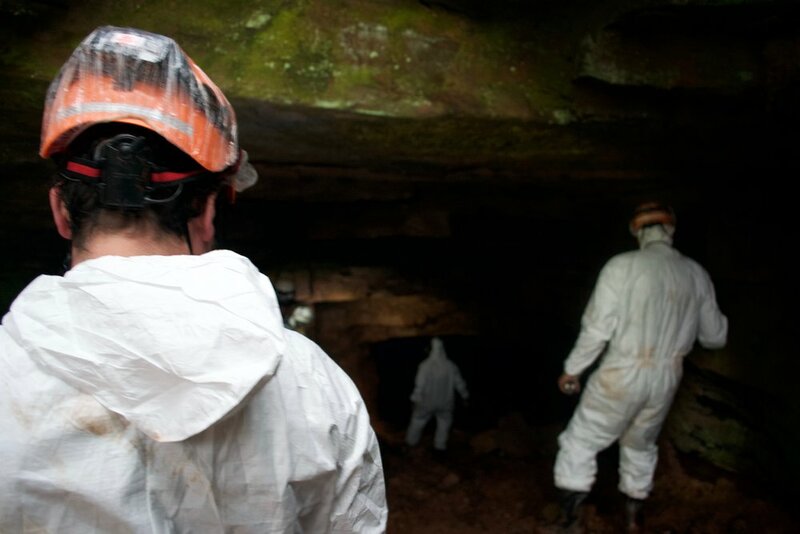 Stay tuned for further updates and images from inside the mines (which should never be entered by the way!). In the last ten years, local native bat populations have been devastated, some nearly wiped out, by white nose syndrome, a fungal disease that prevents bats from hibernating properly and often leads to death as a result. This survey work is vital in understanding the effects of white nose and how it might be stopped. Older PostHappy New Year from Ruffner Mountain!